Today is the feast of St Lawrence of Rome, one of the seven deacons of the city of Rome under Pope Sixtus II who were martyred during the persecutions of Emperor Valerian in 258. I tend to use the Spanish version of his name, San Lorenzo, because most of my associations with him are Spanish, and he was born in what is now Spain. San Lorenzo is thought to have been born in Huesca, a town in the region of Aragon that was once part of the Roman province of Hispania Tarraconensis. 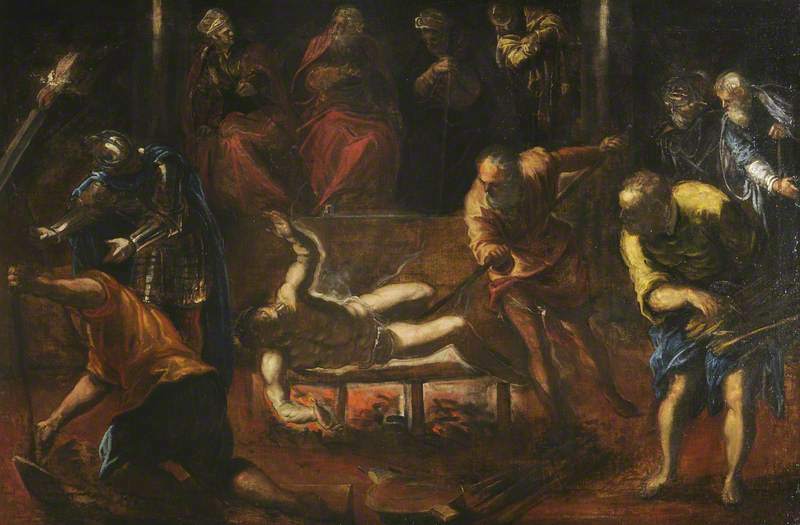 The martyrs Orentius and Patientia are traditionally held to have been his parents. He met the future Pope Sixtus II, who was of Greek origin, in Caesaraugusta (today Zaragoza), and the two left Spain for Rome. When Sixtus became Pope in 257, he ordained Lorenzo as a deacon, and, though Lorenzo was still young, appointed him first among the seven deacons who served in the patriarchal church. He is therefore called “archdeacon of Rome,” a position of great trust that included the care of the treasury and riches of the church and the distribution of alms among the poor. St Cyprian, Bishop of Carthage, notes that Roman authorities had established a norm according to which all Christians who had been denounced must be executed and their goods confiscated by the Imperial treasury. At the beginning of August 258, the Emperor Valerian issued an edict that all bishops, priests, and deacons should immediately be put to death. Sixtus was captured on 6 August 258, at the cemetery of St Callixtus while celebrating the liturgy and executed immediately. After the death of Sixtus, the prefect of Rome demanded that Lorenzo turn over the riches of the Church. A well-known legend has persisted from earliest times. As deacon in Rome, St Lawrence was charged with the responsibility for the material goods of the Church and the distribution of alms to the poor. St Ambrose of Milan relates that when St Lawrence was asked for the treasures of the Church he brought forward the poor, among whom he had divided the treasure as alms. “Behold in these poor persons the treasures which I promised to show you; to which I will add pearls and precious stones, those widows and consecrated virgins, which are the church’s crown.” The prefect was so angry that he had a great gridiron prepared, with coals beneath it, and had Lawrence’s body placed on it (hence St Lawrence’s association with the gridiron). After the martyr had suffered the pain for a long time, the legend concludes, he made his famous cheerful remark, “I’m well done on this side. Turn me over!” From this derives his patronage of cooks and chefs. 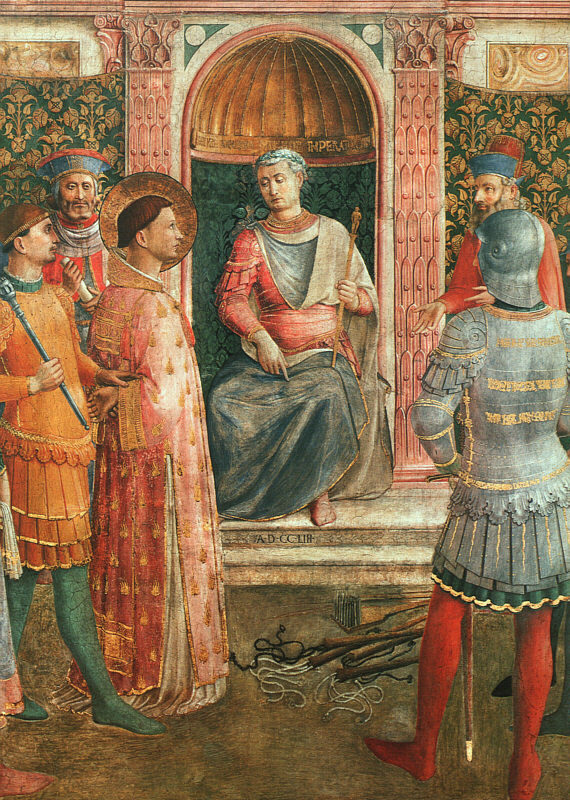 The legend of Lorenzo’s martyrdom is memorable, but unlikely to be true. Valerian expressly commanded that Christians be decapitated. A theory of how the tradition arose is put forward by Pio Franchi de’ Cavalieri, who postulates that it was the result of a mistaken transcription, the accidental omission of the letter “p” – “by which the customary and solemn formula for announcing the death of a martyr – passus est [“he passed”] – was transcribed as assus est [he was roasted].” Contemporary martyrologies normally read, passus est. Constantine I is said to have built a small oratory in honor of San Lorenzo, which was a station on the itineraries of the graves of the Roman martyrs by the seventh century. Pope Damasus I rebuilt or repaired the church, now San Lorenzo fuori le Mura, while the minor basilica of San Lorenzo in Panisperna was built over the place of his martyrdom. 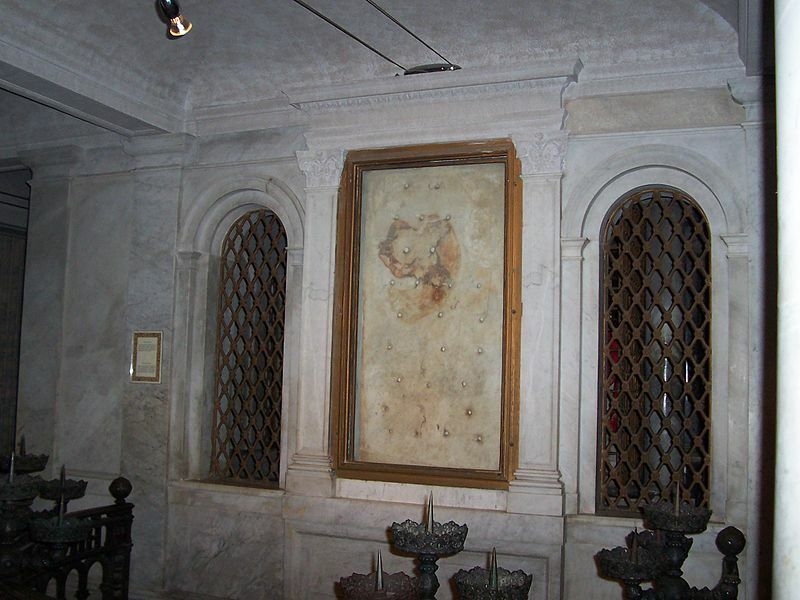 The gridiron of the martyrdom was placed by Pope Paschal II in the church of San Lorenzo in Lucina. 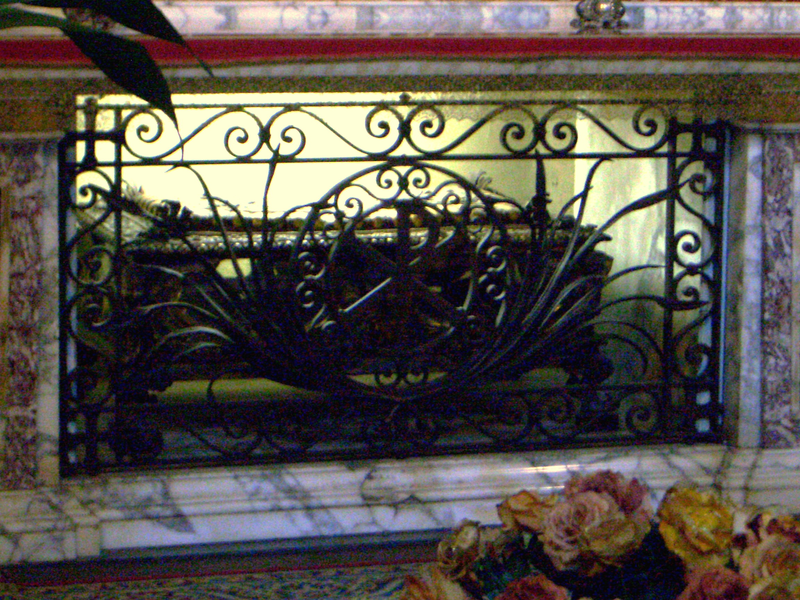 San Lorenzo is widely venerated and is also honored in place names and patronage. He is patron of Rome (one of several), Rotterdam (Netherlands), Huesca (Spain), San Lawrenz, Gozo and Birgu (Malta), Barangay San Lorenzo San Pablo (Philippines), Canada, Sri Lanka, as well as of comedians, librarians, students, miners, tanners, chefs, roasting and baking, the poor, and firefighters. My closest personal association with San Lorenzo is with Bernalillo in New Mexico where his feast is a public holiday which is commemorated by a mass and by the matachines dance, which is found throughout indigenous and Hispanic cultures of southern U.S. and northern Mexico. I have spent decades researching the dance historically and in its current forms. Usually matachines performances occur around Christmas or Easter, but in Bernalillo they are associated with the feast of San Lorenzo. The dancers practice in specially constructed areas outside of the houses of the year’s mayordomos (sponsors), nightly in the weeks leading up to San Lorenzo, and then dance in the streets on the actual day. Any dish involving a grill, especially a gridiron, would be suitable for today. Early examples of the gridiron were found in Pompeii. The Latin term is “craticula,” a diminutive form of “crate” (hurdle). This name probably referred to their barred design. 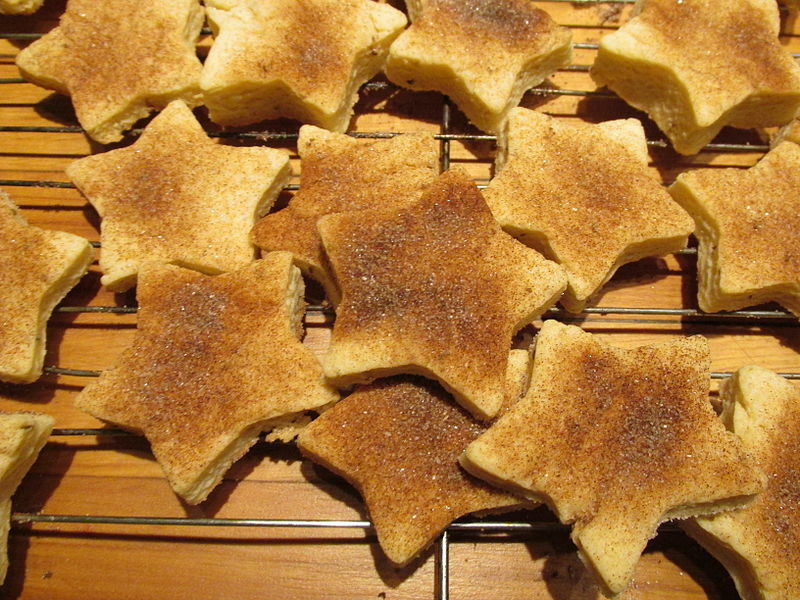 However for my daily recipe I am going to give you biscochitos Biscochitos are crisp lard cookies, flavored with anise and dusted with cinnamon sugar that are a specialty of New Mexico and always found at festivals such as San Lorenzo. Using a stand mixer, beat the lard and 1 cup of sugar in a bowl until fluffy. Add the eggs and anise seeds, and continue beating until very light and fluffy. Turn off the mixer. Sift together the flour, baking powder and salt and add to the creamed mixture along with the brandy. Mix thoroughly with a wooden spoon to make a stiff dough. Place the dough on a long piece of waxed paper. Bring the waxed paper end over the top of the dough and press it to a little less than one inch in thickness. Refrigerate for several hours. Roll out the dough between the waxed paper to just under ½ inch thickness. Cut out the dough using cutters into the traditional fleur-de-lis shape or whatever shape you want. Combine the 3 tablespoons of caster sugar with the cinnamon in a shallow bowl. Dip the unbaked cookies into the sugar-cinnamon mixture on one side. Place the cookies on ungreased baking sheets and bake for 10 to 12 minutes or until tops are just firm.